When former first lady Barbara Bush is laid to rest in Texas, she will be near a dear loved one: her daughter, Robin, who passed away at age 3. Robin was diagnosed with leukemia in 1953, a time with the cancer was considered a death sentence. When Barbara and husband George H.W. asked doctors what they needed to do, they were given a heartbreaking response. "She said, 'You don't do anything. She's going to die," Mrs. Bush told her granddaughter, Jenna Bush Hager, in a TODAY interview. "She said, 'My advice is to take her home, love her. In about two weeks, she'll be gone." The family didn't accept that answer and instead took her across the country for treatment, but it was unsuccessful. She passed away just before her 4th birthday. "I was combing her hair and holding her hand," Mrs. Bush said. "I saw that little body, I saw her spirit go." Decades later, leukemia is no longer a death sentence for children. St. Jude Children's Research Hospital estimates the survival rate for the most common type of leukemia to be 94 percent, thanks to improved technology as well as cells and DNA preserved from patients treated in the 1960s, according to hospital doctors. WASHINGTON, DC -- FEBRUARY 23: (L to R) First Lady Nancy Reagan, Mrs. Barbara Bush, President Ronald Reagan, and Vice President George H.W. Bush gather at the Vice President's residence on February 23, 1981 in Washington, DC. (Photo by David Hume Kennerly/Getty Images). Hager pointed out that stigma around cancer has also changed. When Robin was diagnosed, neighbors wouldn't let their children around her, for fear that they would catch the disease. The scientific and social progress over the years brings comfort to the Bushes, who donated Robin's body to research after her death. "It made Gampy and me feel that something good is coming out of this precious little life. And today, almost nobody dies of leukemia," Bush told Hager, whose father, former President George W. Bush, was 7 when his sister died. "Robin to me is a joy. 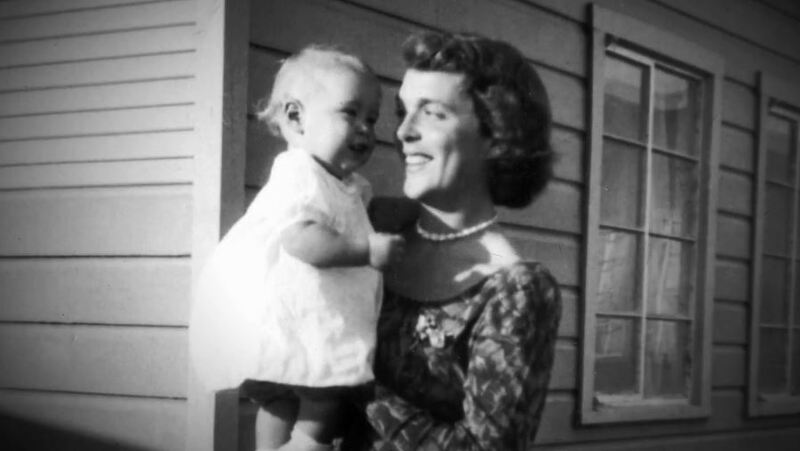 She's like an angel to me, and she's not a sadness or a sorrow," Mrs. Bush said, remembering "those little fat arms around my neck." (Photo by David Hume Kennerly/Getty Images). What a wonderful life was lived by Fmr. First Lady Barbara Bush. Condolences to the entire Bush family. 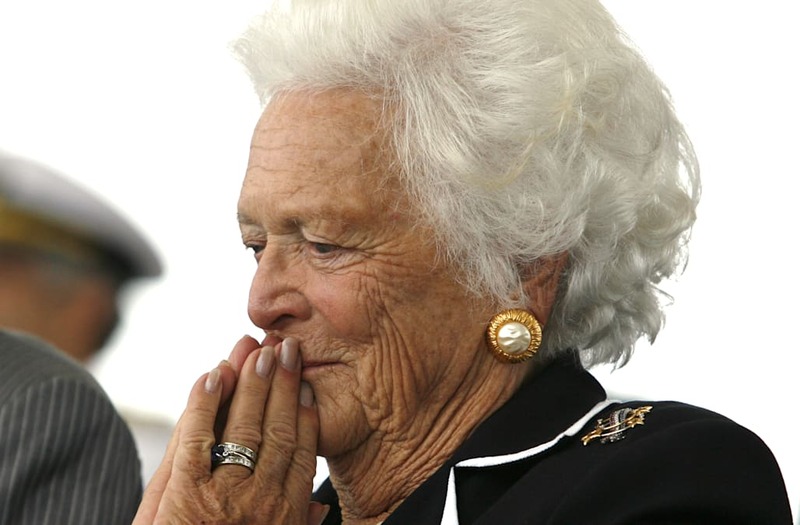 Our prayers for the family of former First Lady Barbara Bush. She will be missed and we are better off because of her time here on earth. God bless the soul of Barbara Pierce Bush, First Lady, First Mother, a matriarch and a patriot. Condolences to the Bush family. Saddened to learn of the passing of Barbara Bush, a woman of great strength, dignity and good humor, she will be missed. Prayers with the Bush family tonight. Barbara Bush was an amazing lady and will be missed! Barbara Bush lived an incredible life. I’m sending my love to her family.